It seems no matter where we turn these days, it’s all about hair — eyebrow and eyelash hair, that is! From bolder-than-bold brows to longer-than-life eyelashes, it seems hair growth is the top priority and so much so that we’re often looking for overnight results. While we know this isn’t possible, beauty lovers like ourselves are often left looking for the best of the best products to promote hair growth at a rapid rate! 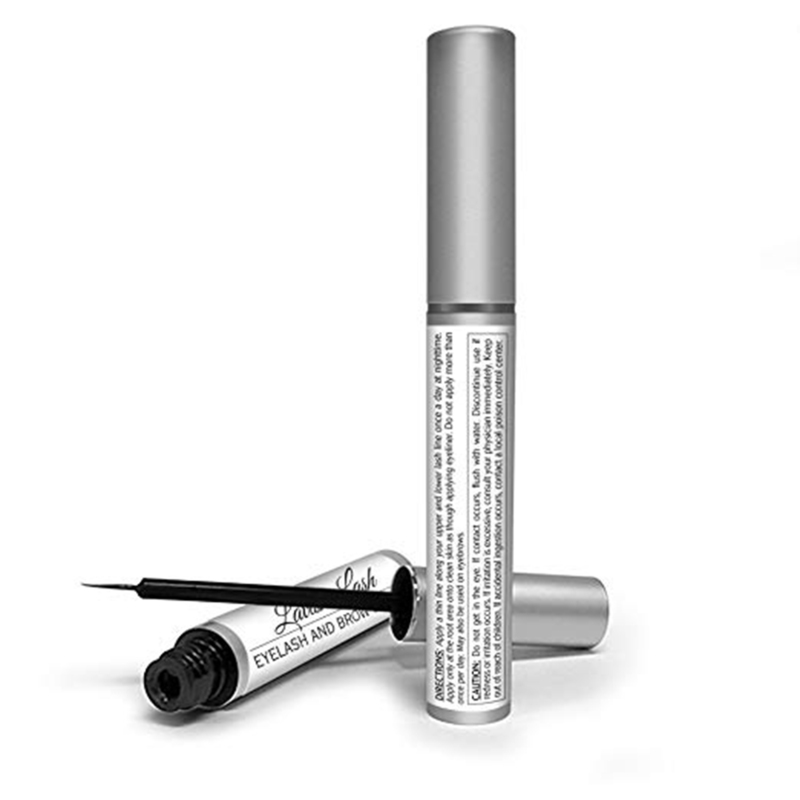 We may have just found a brow and lash growth serum that has us batting our lashes thanks to the 8,000 positive reviewers claiming it works like magic. See it: Grab the Pronexa Hairgenics Lavish Lash Eyelash Enhancer & Brow Serum (originally $99) now only $30, available at Amazon! Please note, prices are accurate at the date of publication, February 24, 2019, but are subject to change. The Pronexa Hairgenics Lavish Lash Eyelash Enhancer & Brown Serum is the perfect example that big things do in fact come in small packages — or small bottles, that is! When it comes to Pronexa’s revolutionary botanical serum, beauty lovers will love that it looks to not only boost the length and thickness of eyelashes but eyebrows as well! This eye-enhancing serum can help produce longer, fuller and thicker eyelashes and brows. Of course, this is music to any beauty lover’s ears! This super serum may even help add sheen and luster to lashes and brows, all while making them appear lush and beautiful for long-lasting results! The Lavish Lash serum claims to not only be backed by science, but proven by it, as well. Specifically designed with botanically-derived compounds that penetrate hair follicles to stimulate hair growth, this serum looks to fortify lashes and brows with length and thickness. Of course, this all sounds great, but what sounds even greater? The reviewers who claim this serum works wonders! In terms of a timeline of expected growth, the serum claims to drastically increase the length and thickness of hair in a little under 60 days. Across the board, reviewers agreed, claiming results in under two months. They also noted that after continuous use the results are even more amazing. After two months of continued use, one reviewer compared her lashes to fake ones, saying they were just as long and luxurious. How lovely! Of course, we all remember the days spent endlessly overplucking and overwaxing our beloved brows. If only we could go back in time! Surely, we aren’t alone in our regret. In fact, we are not only welcomed but embraced by the countless reviewers who surely struggled with a similar scenario. Instead of living in the past, many found this as the step (or serum) to move forward! See it: Grab the Pronexa Hairgenics Lavish Eyelash Enhancer & Brow Serum (originally $99) now only $30, available at Amazon! Please note, prices are accurate at the date of publication, February 24, 2019, but are subject to change. It goes without saying that one of our favorite reviewers was honest about her financial struggle to keep up with Rodan + Fields. This reviewer was torn over her inability to continue affording her beloved pricey serum. Much to her liking (and ours! ), this serum was the solution at a fraction of the cost. Truly, we love that she didn’t need to lose quality over quantity! Of course, we loved the brutally honest and oh-so-funny reviews as well! One reviewer humored us in her endless struggle of penciling in her eyebrows. Obviously, we’ve all been there! Now, thanks to this enhancing serums she now has real eyebrows! This reviewer and so many others loved that there was nothing fancy about this product. All that was required was continuously applying this brush to our brows or eyelashes day in and day out. Personally, we love that this consistent routine claimed to pay off for many! Last, but certainly not least, we love that this serum is nothing short of problem-solving! Beauty lovers are always facing skin sensitivity and irritations and Pronexa says this serum is hypoallergenic. Many reviewers agreed that their sensitive skin was not harmed, too! When it comes to all-in-one products, beauty lovers are often hesitant towards branching out and trying the latest and greatest products. We totally get it. But with its near-perfect reviews and over 8,000 positive reviews, we don’t recommend beauty lovers take this serum for a spin, we highly recommend testing it out! See it: Grab the Pronexa Hairgenics Lavish Eyelash Enhancer & Brow Serum (originally $99) now only $30, available at Amazon! Please note, prices are accurate at the date of publication, February 24, 2019, but are subject to change. Not your style? Check out additional beauty products also available, at Amazon!